Growing applicant pools. Diminishing budgets. And the ever-present pressure to do more with less. In the today's recruitment environment, you need innovative, affordable ways to find and attract top talent. 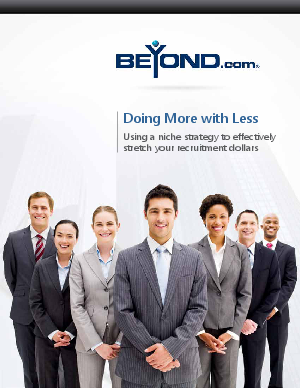 Niche recruitment allows you to narrow your focus and concentrate on the most relevant, qualified candidates, for the best possible use of your limited time and resources.